Preventing cancer is simple but not easy. There is no need to fear cancer. Every time I hear of a new case of cancer or a cancer death it saddens me because I know that it just doesn’t have to happen. Preventing cancer is simple but not easy. In this episode of ‘Living outside the Matrix’ we look at the theory of cancer that the mainstream medical fraternity refuses to acknowledge. It is a theory of cancer that explains all of the available evidence and contradicts none of it. Professor Thomas Seyfried has developed the ideas of Nobel Prize winner Otto Heinrich Warburg (1883 – 1970) and found the truth that cancer is entirely preventable and manageable. He prefers not to use the word ‘cure’. However, when we examine the evidence and do not allow the dogma of the medical fraternity to obstruct rational thinking, a cure for cancer is exactly what we have by definition! A means of remedial treatment to restore health – permanently. There is absolutely no need to fear cancer or to die from cancer, or to lose a loved one from cancer. Once we hear this information we must process it and absorb it so that it becomes knowledge. Once we have the knowledge and are prepared to implement it, preventing cancer is almost a certainty. Preventing cancer is the claimed goal of all cancer research, however the views of the mainstream espoused by all of the institutions including Cancer research UK, The cancer research Institute and even the General Medical Council, is entrenched in dogma and will not see the writing on the wall. Since the declaration of war on cancer in 1971 billions of dollars and pounds have been spent pursuing a remedy based on an incorrect premise. Namely, that cancer is a genetic disease. It isn’t. The amazing contribution to humanity offered by Professort Seyfried is to collate the disparate evidence known as the ‘Nuclear Transfer Experiments’ into one document and to expose it to the two theories side by side. This was done in a published peer reviewd paper. This mainstream view, the dogma in the Matrix, holds that it is genetic mutations within the nucleus of a cell that is the cause of cancer. However, this is contradicted by the evidence. The genetic material of a cell is contained within the nucleus. So if the nucleus of a cancer cell is put into a normal healthy cell it would be expected to develop into a cancerous cell. But it doesnt. Also, if the nucleus of a healthy cell is put into a canerous cell, it continues to be cancerous.This because the problem is in cells mitochondria being compromised in their respiratory capability. Furthermore, the genetic mutations found in cancer cells have been shown to be downstream effects of the damaged respiratory capability of the cell and its subsequent reliance on fermentation for fuel. The fermentation process produces far more Reactive Oxygen Species (ROS) also known as free radicals. According to Professor Seyfried this is what causes the genetic mutations. They are an effect not the cause. It may sound bold to claim to have the truth about cancer. However when a theory explains all of the available evidence and contradicts none of it, it is safe to say we have found the truth. The official view does not achieve this and and therefore cannot be rationally considered the truth. According to Wikipedia “Otto Heinrich Warburg was a German physiologist, medical doctor, and Nobel laureate. He was the sole recipient of the Nobel Prize in Physiology or Medicine in 1931. In total, he was nominated for the award 47 times over the course of his career.” He was the first to propose the theory of cancer as a metabolic disease, and it is his work that Professor Thomas Seyfried has developed and built upon. Warburg proposed that cancer was caused by damage to the respiration of the cell. This caused the cell to switch to an ancient alternaive energy release pathway of fermentation. Cancer cells ferment sugar and Glutamine anerobically (without oxygen). 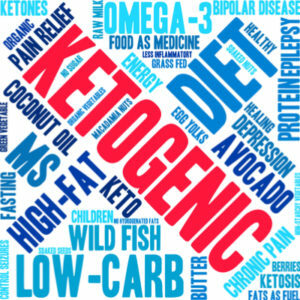 Most significantly cancer are unable to metabolise ketones that are derived from dietary fats. This means that a low carbohydrate – high fat – moderate protein diet puts cancer cells at a competitive disadvantage over the rest of the body cells. The theory that cancer is a metabolic disease cause by the compromised respiration of mitochondria within the cell supports all the evidence. Further more, remedial treatment based upon this theory works! It shrinks tumors and makes lesions go away. It gets people well again, it restores health. by definition that is a cure. The main fuel of cancer is glucose which can be fermented in the absence of oxygen. It is for this reason that the primary strategy is to reduce glucose levels in the blood to take away its primary fuel source. This is achieved by strategic of theraputic fasting to get into a state of nutritional ketosis, and thereafter a carefully planned ketogenic diet. The secondary fuel of cancer cells is Glutamine and this is targeted with specific non toxic drugs. Hyperbaric Oxygen therapy can also be used to selectively and non-toxically kill cancer cells as a replacement for Radiation therapy. Profesor Seyfried says therefore that radiation therapy is unnecessary (and toxic) and is easily replaced. Chemotheapy is used specifically to stop the proliferation of cancers cells in the conventional standard of care. But this is achieved by nutritional ketosis and is therefore also unnecessary. The most exciting fact is that preventing cancer is simple with a ketogenic diet that does not have to be adherred to all the time. According to Seyfried, just one or two therapeutic fasts a year or bouts of nutritional ketosis should suffice to reduce your risk of cancer considerably. This puts preventing cancer into the hands of you and I. This means that we have a cheap and effective way to make sure that we never succumb to this horrendous disease. The problem with this means of preventing cancer is that almost everyone finds changing diet extremely difficult. Sugar is very addictive and is a huge component of the modern diet. This along with other factors such as the addictive qualities in wheat, makes the idea of restricting carbohydrate intake very challenging for most of us. Even more challenging is the idea of a 7 day (or longer) therapeutic fast! Extended periods of fasting are extremely beneficial to the human body. We evolved with extended periods of not eating. Yes, abstaining from eating in a culture of ubiquitous fast food and sugar is a tall order. I consider taking control of one’s diet as the number one personal development challenge. It exemplifies mastery over ‘self’ and the exercising of self discipline. To be truly in control of ones life and destiny one must conquer this challenge. Yet all is not lost. When we are diagnosed with cancer it is a most powerful motivating force, and if we understand and appreciate that we have the ability to prevent our death by controlling our diet and even fasting for an extended period. Professor Seyfried confirmed that the best thing we can all do if we are ever diagnosed with cance is to immediately begin an extended theraputic fast – stop eating for at least a week! I hope you enjoy this podcast episode and its empowering message. Spread the word and share this information with your loved ones. Understand the priciples behind cancer and its prevention. It is not rocket science, it only needs to be studied and thought about to let it really sink in so it becomes knowledge. When you have the knowledge you can then choose whether or not to implement it. There is so much out there on curing Cancer. I haven’t even touched on CBD oil. All of these things can help, but the real bitter pill that we have to swallow is that we must change our diet to provide our mitochondria with a different fuel. Professor Seyfried and others in this research all say that if we have healthy mitochondria we can not get cancer. So we must eat real food to which the human genome is adapted and avoid the Grains and avoid the sugar. Simple but not easy. Please feel free to join in the conversation and leave a comment below. Please also give the Youtube video a thumbs up and subscribe to the podcast for more empowering information to help you thrive.